CARLSBAD – The Friends of the Carlsbad Library volunteers are busy gathering the best selection of new and gently used books to prepare for the Spring Better Books Sale. There are beautiful art books, cookbooks, books of current and classic fiction, coffee table books, gardening and design books, travel, sports, music, history, biography, children’s books and many other categories to select from. They are all very affordably priced, so now is the time to choose your reading material for the longer spring days! The Sale will be held on Saturday, April 20 and Sunday, April 21 at the Georgina Cole Library Community Room, 1250 Carlsbad Village Drive. Opening hours are 9 a.m. to 4:00 p.m. on Saturday and 1 p.m. to 3 p.m. on Sunday. Be sure to arrive early on Saturday for the best selection, lines form at the entrance in anticipation! And as a special treat, the Carlsbad Garden Club will provide a lovely selection of plants and flower for purchase outside the Cole Library during sale hours. Be sure to bring home a plant or two (or more!) along with your book finds. All profits from the book sale are dedicated to Carlsbad Library programs. 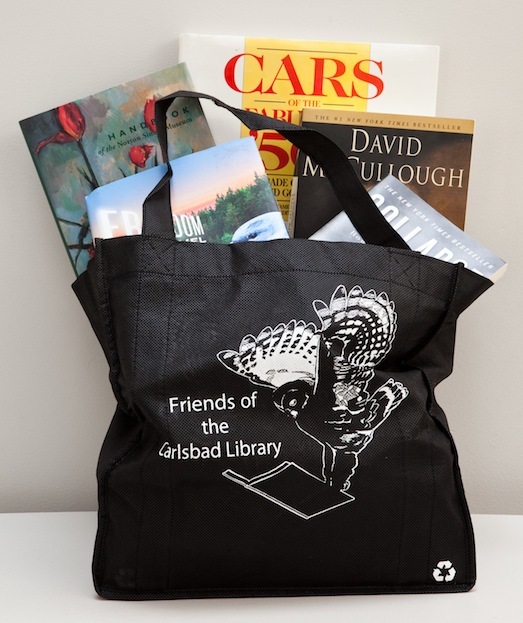 The Friends provide major support for the children’s Summer Reading Program, the Carlsbad Reads Together community event and the Magee Park Poetry program. We also pay for enhanced technology, extra copies of bestsellers and programs for kids and teens. Friends volunteers staff the Friends Book Store at the Dove Library and keep the bookstore area at the Cole stocked with books for all interests. Anyone can donate books and magazines they no longer want by bringing them to the check-out desk of either library or by placing them in the donation bin near the Dove Library’s service entrance on the south side of the building. Some donated items go into the library’s collection, while the rest are sold by the Friends in the bookstores. This source of funding is increasingly more important now as cuts to library budgets become deeper. 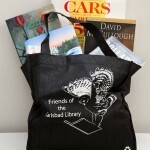 The Friends and the library appreciate your support. For more information call the bookstore at 760-602-2020 or contact the Friends at carlsbadfriends@sandwich.net.